As a seller, you want to get the best price for your house. Then the home inspectors arrive and you wonder how much profit you could lose while waiting for their report, wondering how much profit you will lose. Chances are the report will include a list of repairs that should be made. But is it your responsibility to pay for them? Learn more about what reports you may need to make after a home inspection to sell your house. You’ll find most home repairs fall into three categories: those that are required, those that aren’t really required, and those that are a grey area. Keep in mind people can find other homes for sale in Cumberland, WI. Therefore you don’t want to lose a potential buyer while debating about repairs. Know the repairs you should make and those you can negotiate on. Required repairs fall under the seller’s responsibility. These repairs include structural damage (roof leaks, major wall damage), building code violations, or serious safety issues (mold, exposed electrical wires). If the buyer uses a lender, the lender may nullify their loan if your house is deemed unsafe to live in. Repairs that aren’t required usually fall under the buyer’s responsibility but be prepared to negotiate. These repairs include minor cracks in walls and doors, some paint wear and chipped paint and other cosmetic damage. Minor defects, such as a bathroom door that won’t lock, also belong in this category. Grey area repairs are those repairs that may seem necessary to the buyer but not to the seller. For example, your HVAC system may be old and near the end of its expected service. However, if you told the buyer the system’s age before the inspection and it still functions properly, the buyer should consider purchasing a new system if they want one. If you don’t want to pay for or can’t afford to pay for all repairs, try negotiating with the buyer. You can agree to pay for any major repairs and a few minor repairs while the buyer pays for the rest. Many sellers offer credit at the closing where they give a set amount to the buyer to fix repairs. Anything over the amount requires the buyer to pay. Another option is to barter your items like appliances or a sofa in exchange for not paying for repairs. Realtor.com’s Facebook post also offers more tips on how to negotiate on repairs. 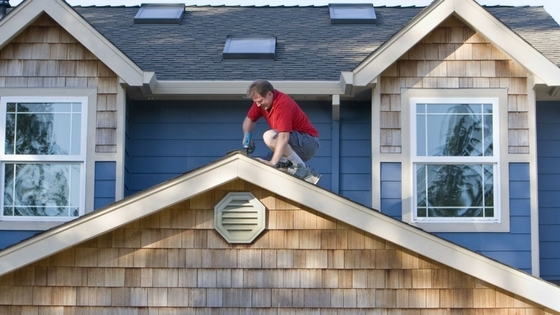 You’ll need to find a reliable handyman for your house repairs. While you could shop around, the team at RE/MAX Northstar already has connections and can provide you the names or local reputable repairmen. For years, residents trusted us with their homes for sale in the Cumberland, WI. Contact us today and we will gladly help you. Also, don’t forget to check out our blogs for more tips on how to improve your home to sell it. Trying to sell a house is stressful enough. Having repairs done to your house just adds to the hassle. You may need to make repairs after a home inspection, but you should negotiate with the buyer. RE/MAX Northstar can help you keep the repair costs down.